The AFL announced the squads for the NAB AFL All Stars ‘Futures’ match which will be played at the MCG on 2018 Toyota AFL Grand Final Day with the nation’s best Under-17 players on show. 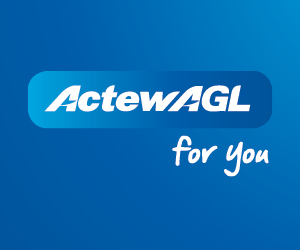 AFL NSW/ACT will have four talented youngsters representing the region across both teams announced today. 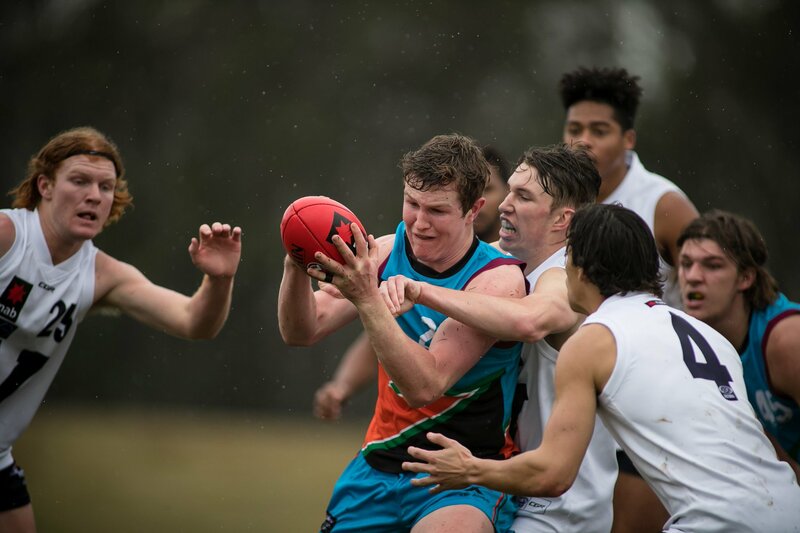 From this year’s Allies squad, Tom Green of Canberra will play alongside 2018 AFL NSW/ACT Under-17s Rams players, Liam Delahunty (GIANTS Academy) and Joshua Rayner (Sydney Swans Academy). These three will play their role in ‘Team Riewoldt’ who will play against ‘Team Bartel’ on the day. As a part of Team Bartel, Will Chandler from the GIANTS Academy will also play during this All Stars match on Grand Final Day. See both the 2018 NAB AFL All Stars Squads here. The two teams have been named after recently retired AFL champions Nick Riewoldt and Jimmy Bartel with the match scheduled to start at 10am and be streamed live on afl.com.au. NAB AFL Academy Head Coach, Luke Power will take charge of Team Riewoldt while Team Bartel will be coached by South Australian Under-18 coach (and this year’s Under-18 All-Australian coach), Tony Bamford. AFL Talent Ambassador, Kevin Sheehan said the match will give AFL club recruiting personnel and the fans a chance to see the games future stars as part of our games biggest day. 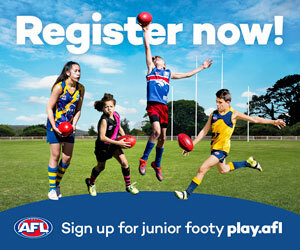 “The players are all Draft eligible in 2019 so clubs will get a great insight into next year’s crop. With trading of future selections now part of the AFL Drafting landscape this game becomes essential viewing for clubs and should be a great spectacle for fans,” Sheehan said. 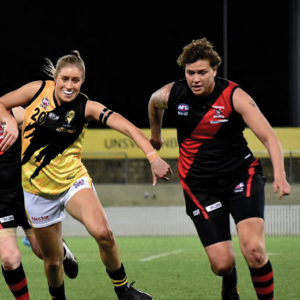 “The likes of Vic Metro’s Noah Anderson, Western Australia’s Luke Jackson, NSW/ACT’s Liam Delahunty and Tasmania’s Mitch O’Neill will represent ‘Team Riewoldt’ while South Australia’s Will Gould, Queensland’s Hewago Paul Oea and Vic Country’s Hayden Young and will play for ‘Team Bartel’. 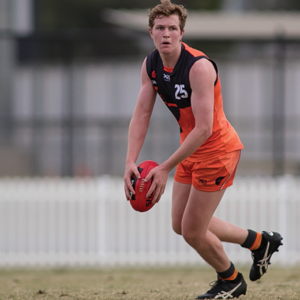 “All players were prominent in this year’s NAB AFL Under-18 Championships as bottom-aged players and we look forward to watching their progression.